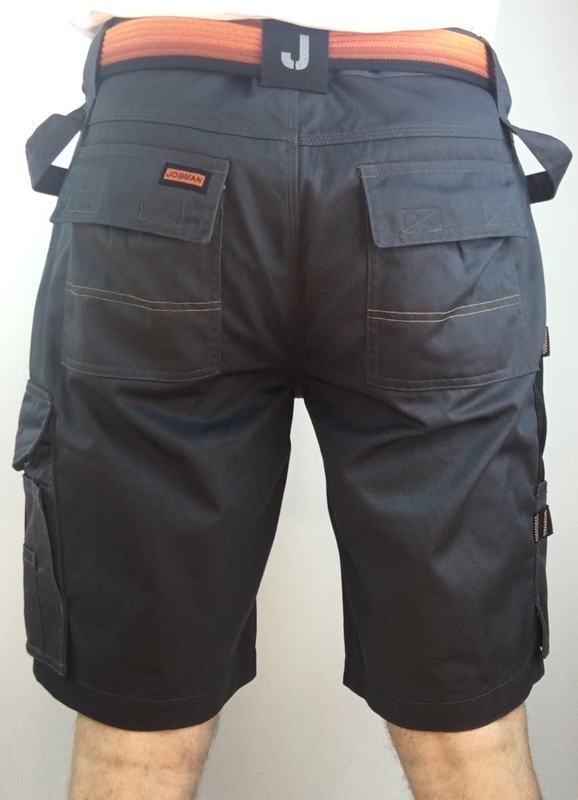 Enjoy your summer in these lightweight polyester/cotton shorts. This durable material holds its color and shape. 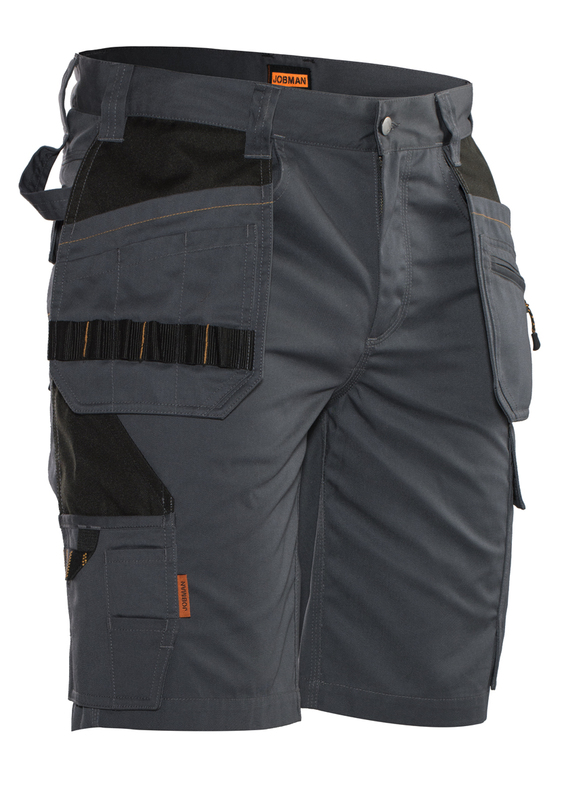 With many of the same pockets and features as our new Handyman Craftsman Pants, these rugged shorts keep you in business in hot weather. 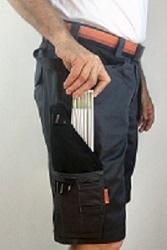 Hang all your tools and keep your hardware close and keep on working in the heat! These shorts come in a variety of colors - up to 8 different colors available. 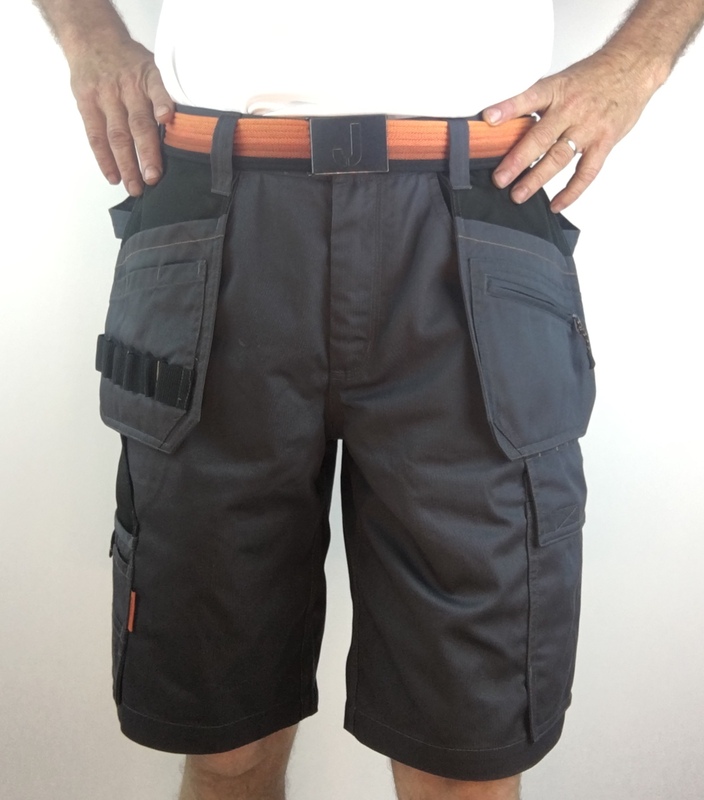 These shorts feature a hammer loop on each side. 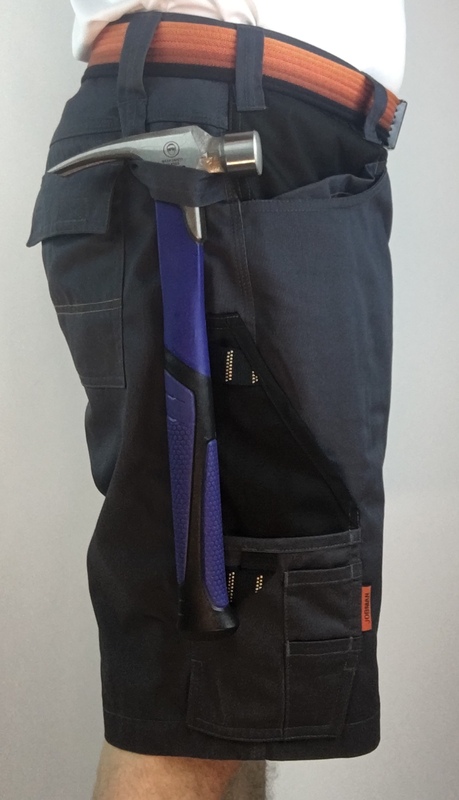 Holster pockets on the front with extra compartment and extra pocket with zipper on the left holster pocket. 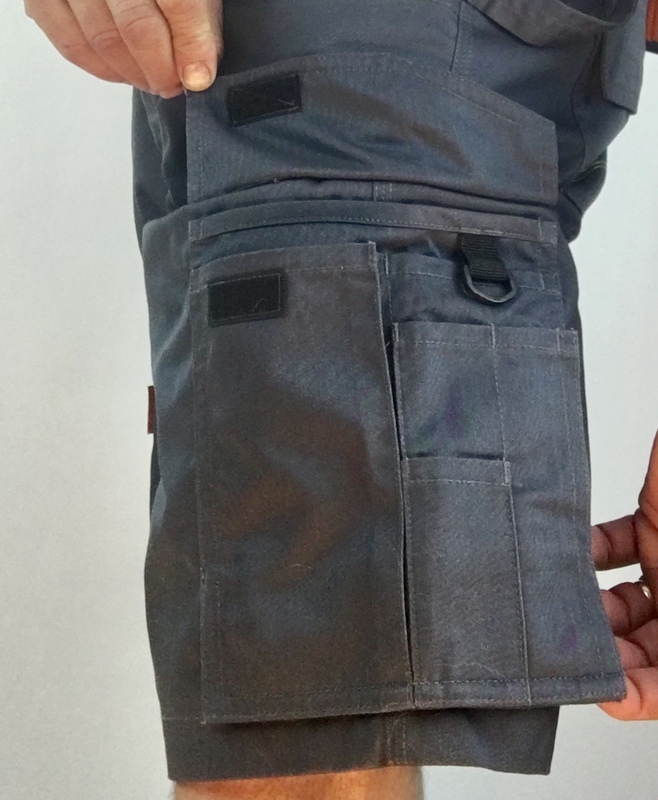 The spacious back pockets have a flap cover with a velcro closure. 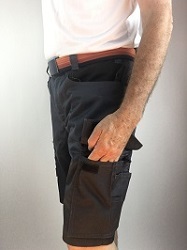 Left leg pocket has an extra compartment and flap cover with Velcro closure. 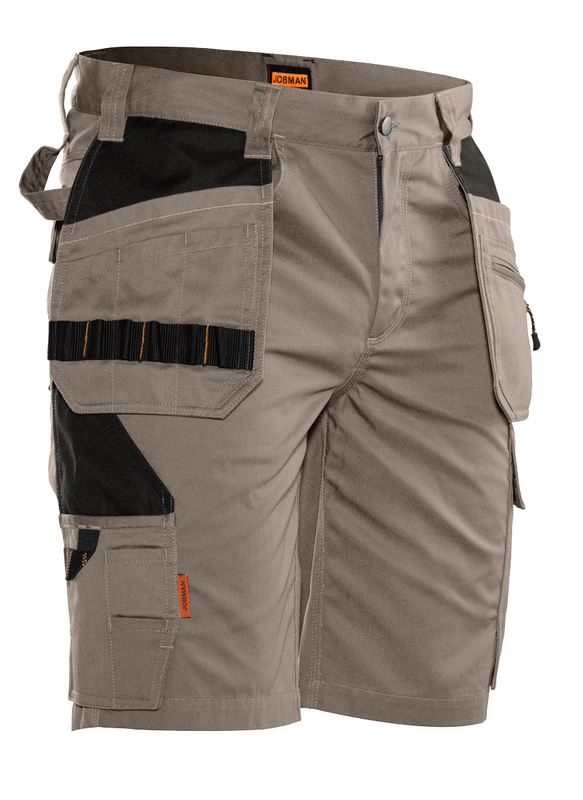 Rule pocket cluster on the right thigh has a knife holder button and auxillary knife and pen/pencil pockets. 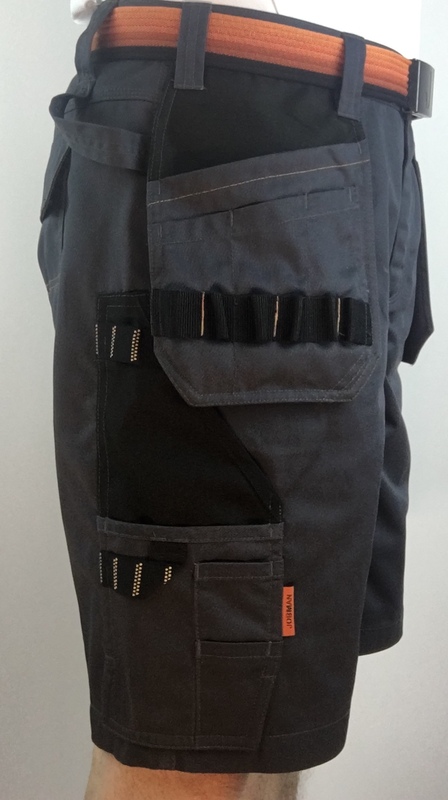 Reinforcing durable fabric in the holster pockets. Prefer the fit and materials over the Blaklader workshorts by a wide margin. 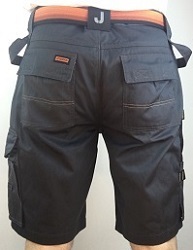 These are much less baggy and the material is stiffer and I assume more durable.. Sizing: they run slightly small. I ordinarily wear a 32, 33 or sometimes 34. These are just big enough for me at a 34 (C50). Good product, easy no questions asked Free exchange. Takes a little while to get the item in the mail but I say worth the wait to get a quality speciaty product. Good communication from supplier.